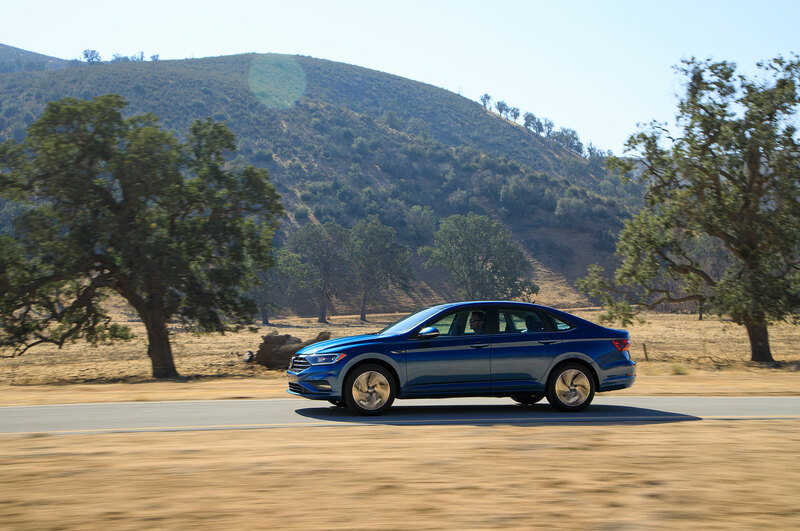 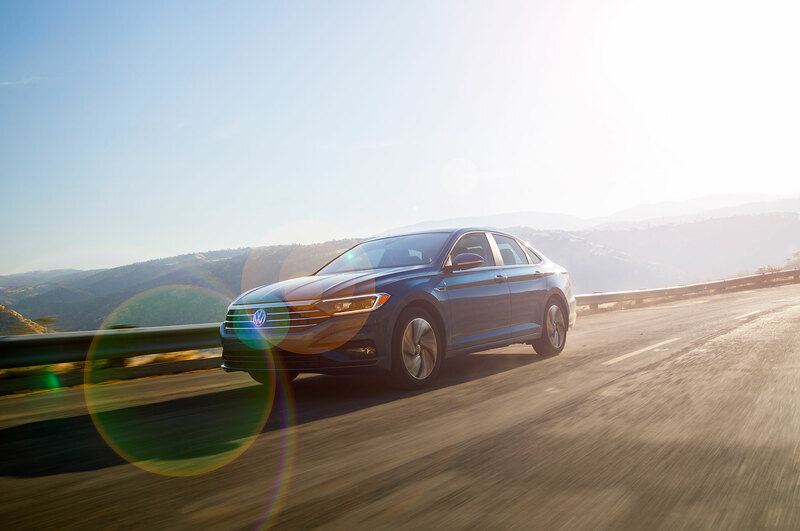 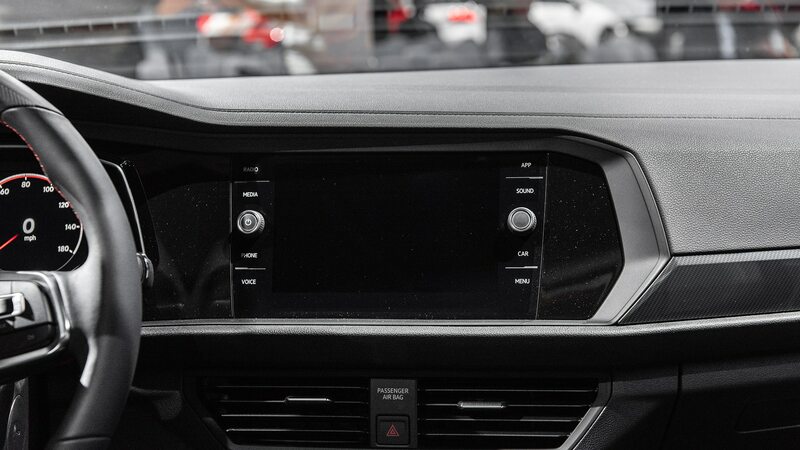 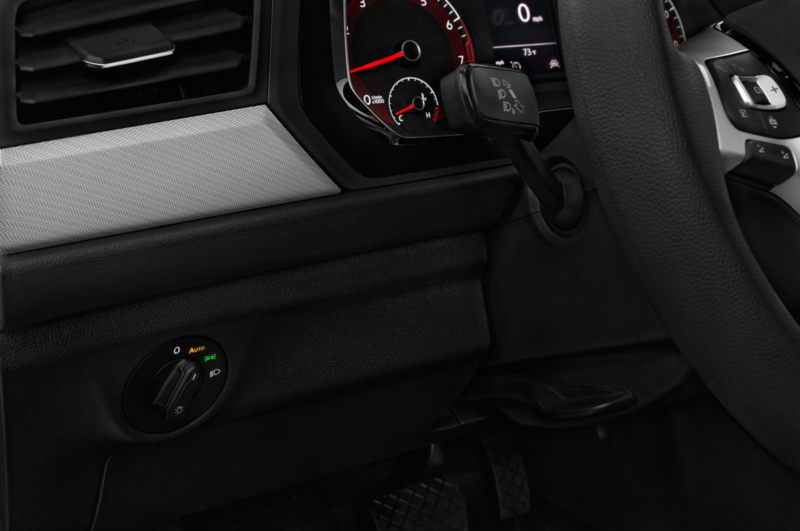 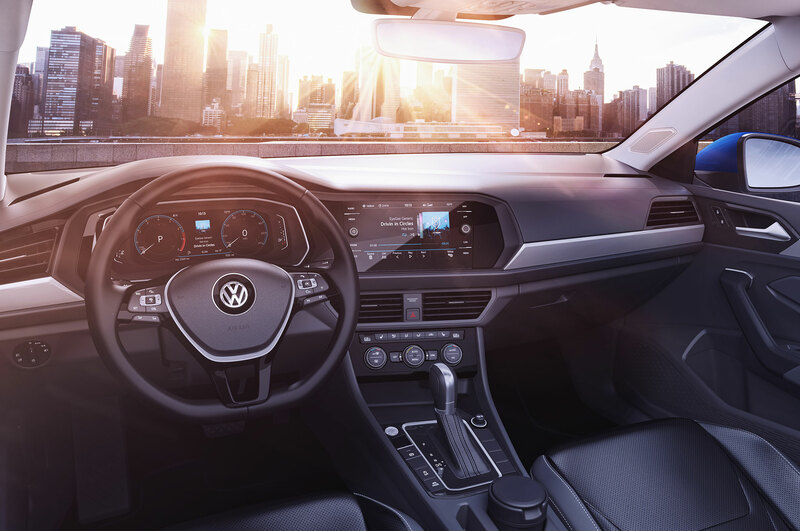 Cool: VW didn’t cheap out on the hardware. 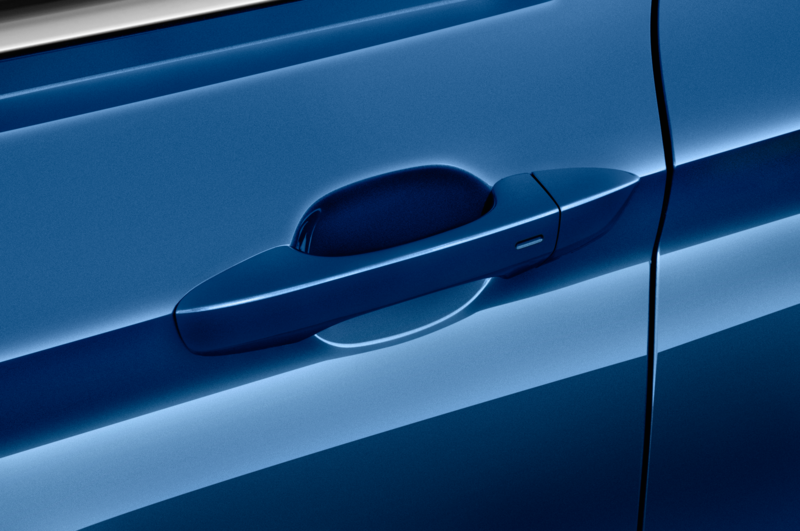 Cool: There are two limited-slip solutions. 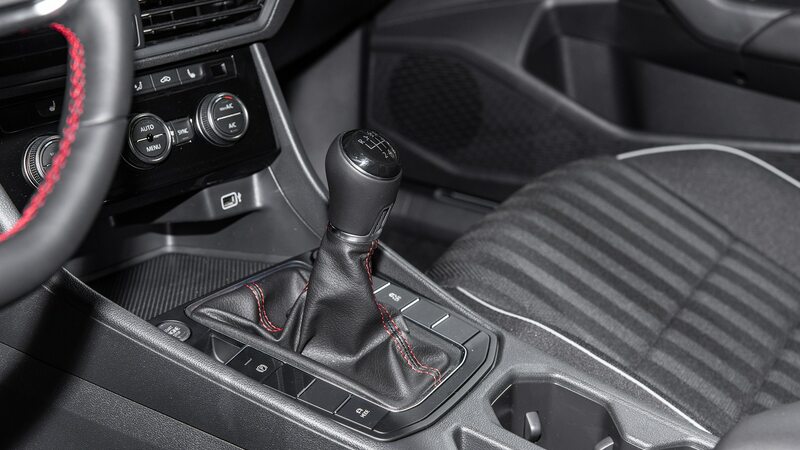 A good way to get fans of front-drive performance cars riled up is to debate the merits of a mechanical limited-slip diff versus an electronic solution (the latter of which is really just traction control on steroids; I think you can tell which camp I’m in). 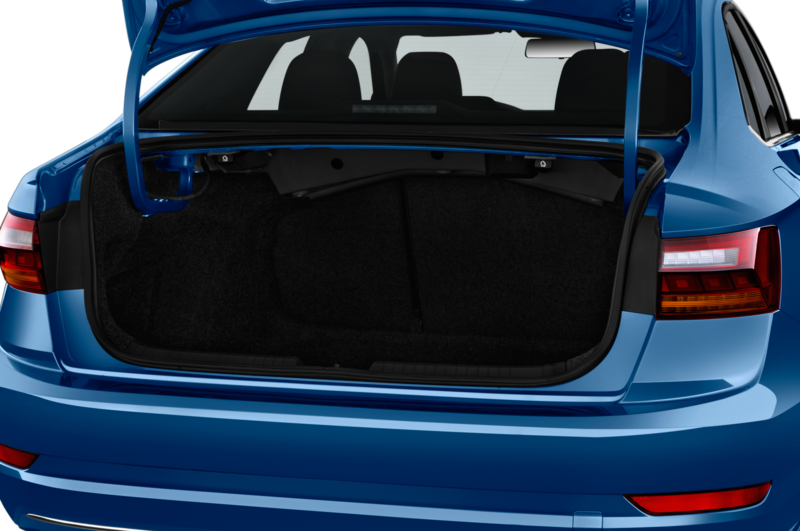 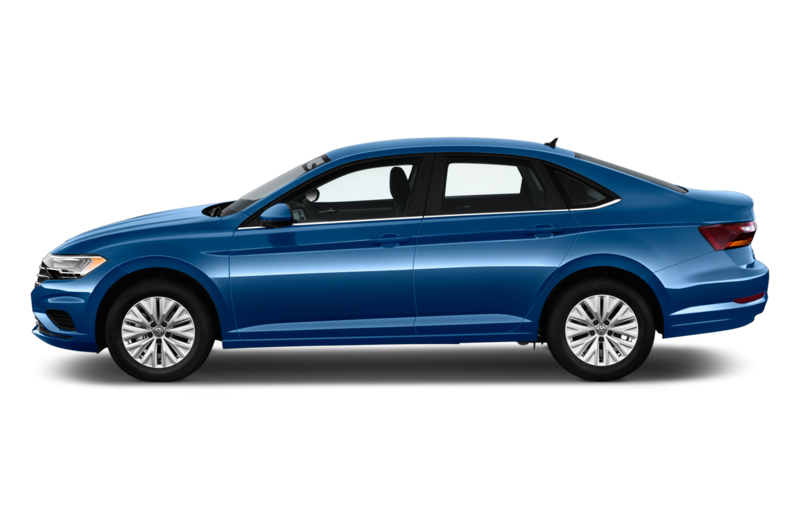 But there are no arguments to be had here, because the Jetta GLI offers both. 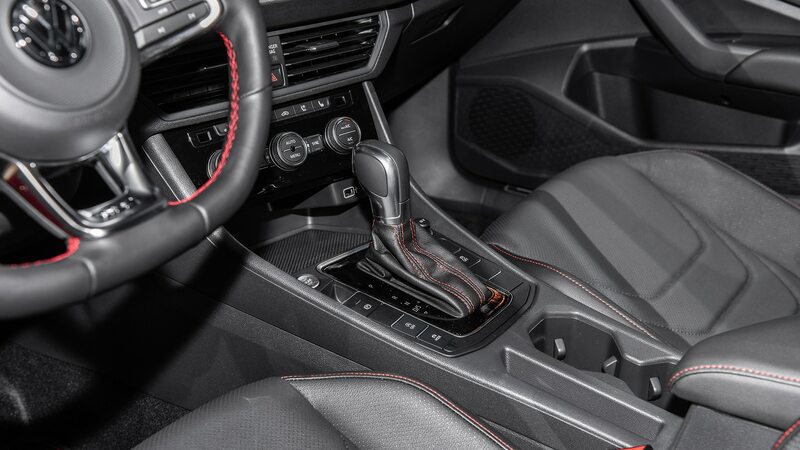 There’s a proper torque-sensing LSD, and if that fails to fully mitigate wheel spin, the electronic version will use a brake to rein in the offending wheel. 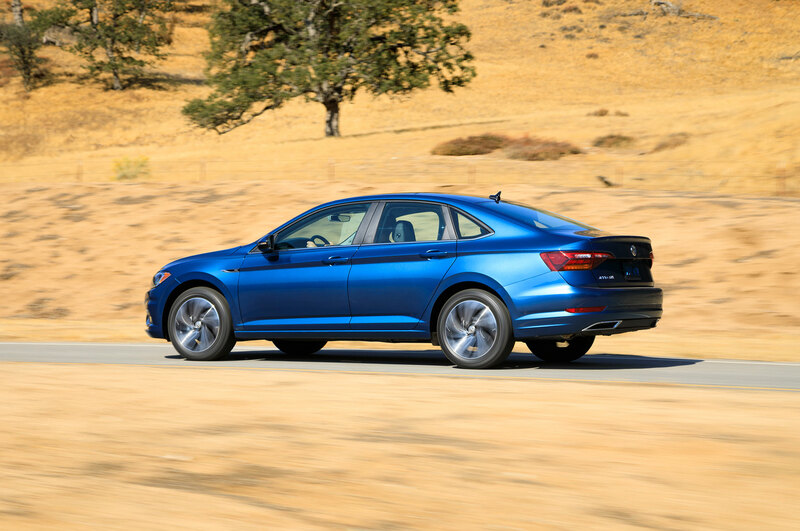 Corner-exit wheelspin is the Achilles heel of front-drive performance cars, so the fact that the Jetta GLI goes so far to eliminate it is a very, very good thing. 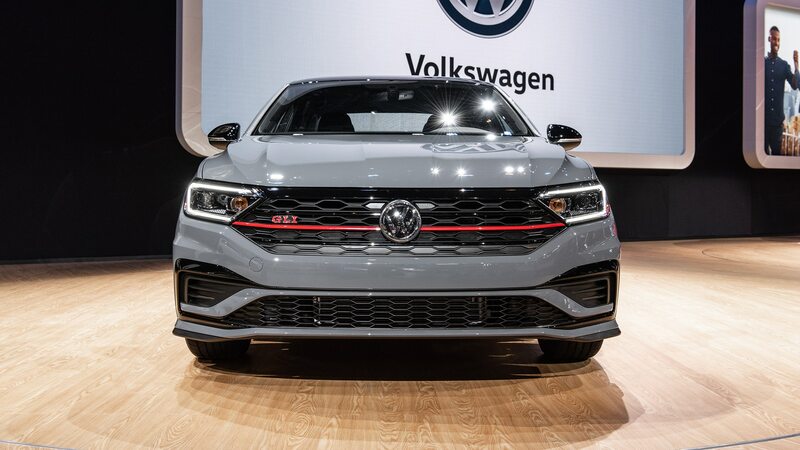 Cool: It’ll drive like the GTI. 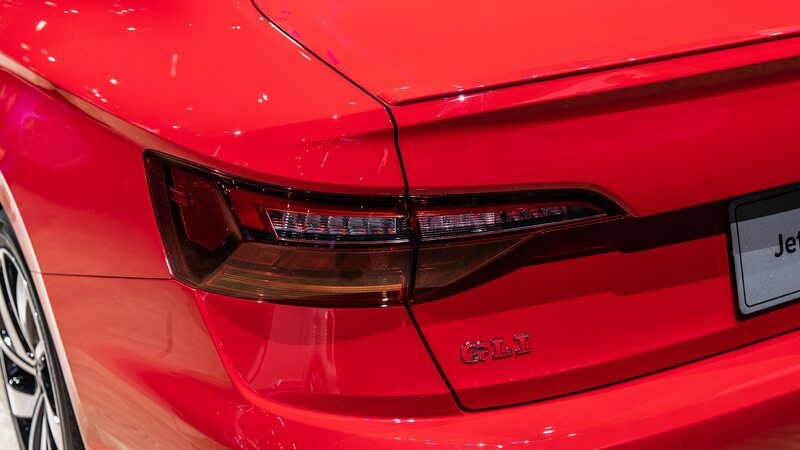 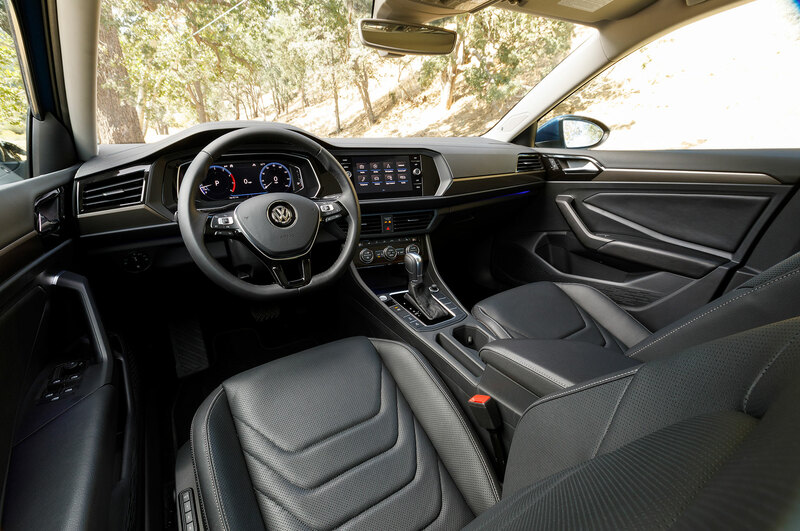 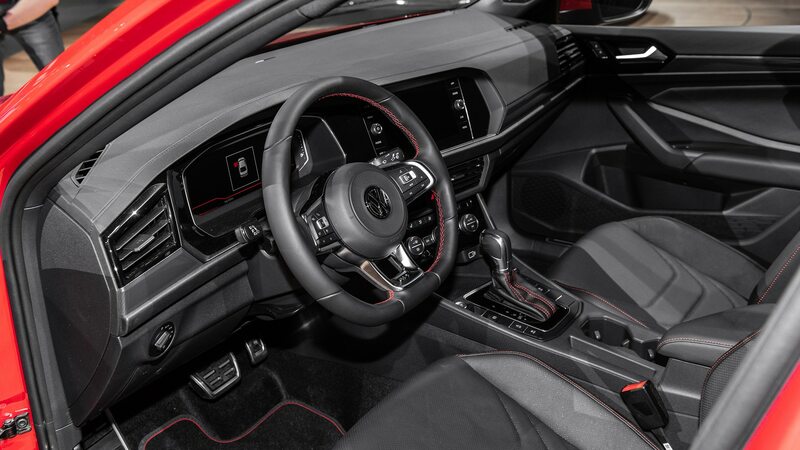 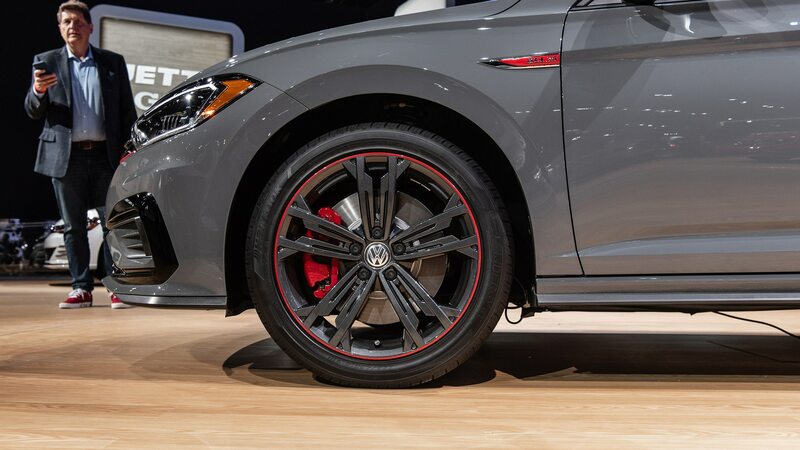 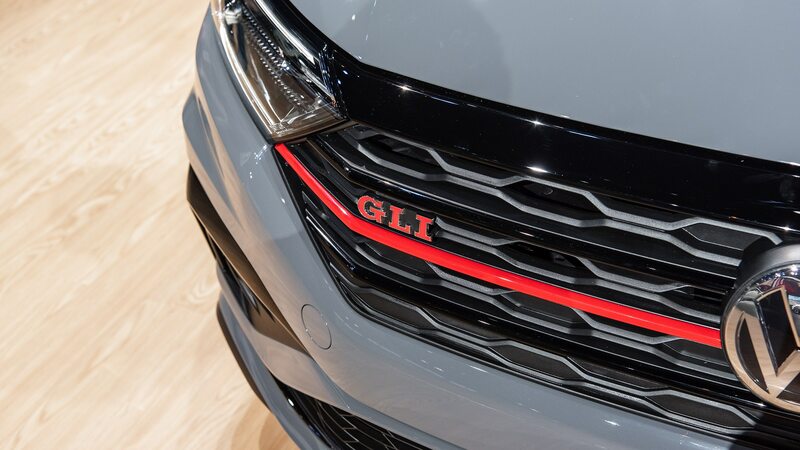 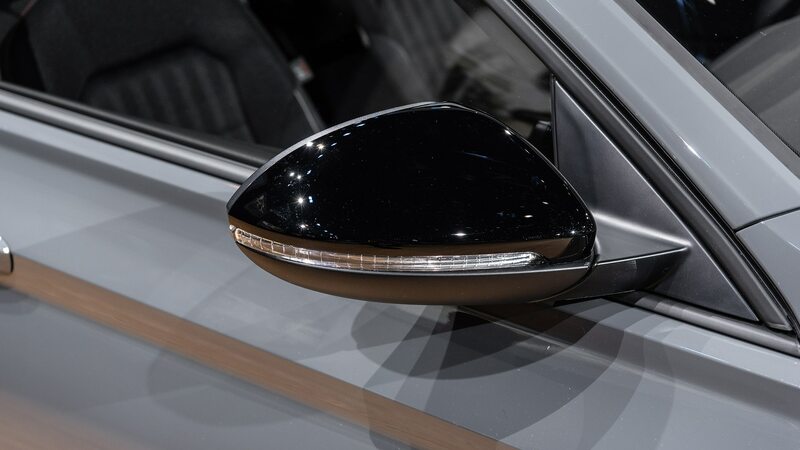 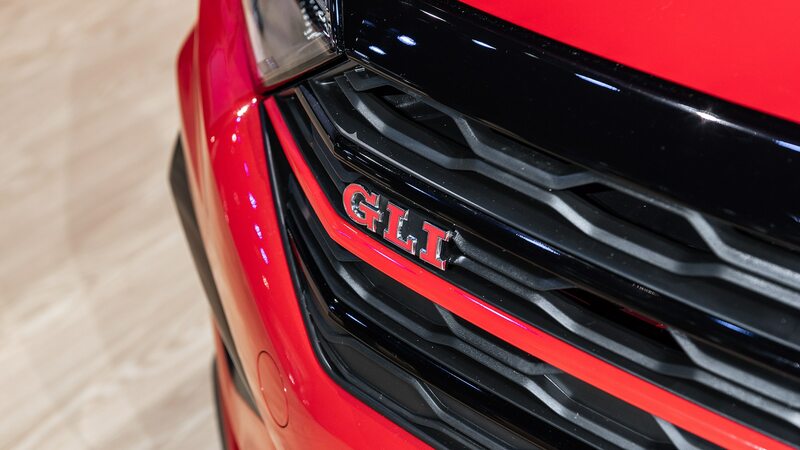 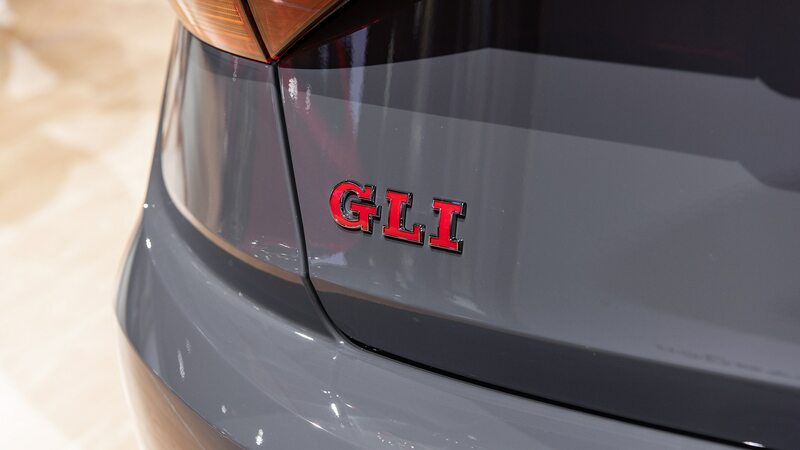 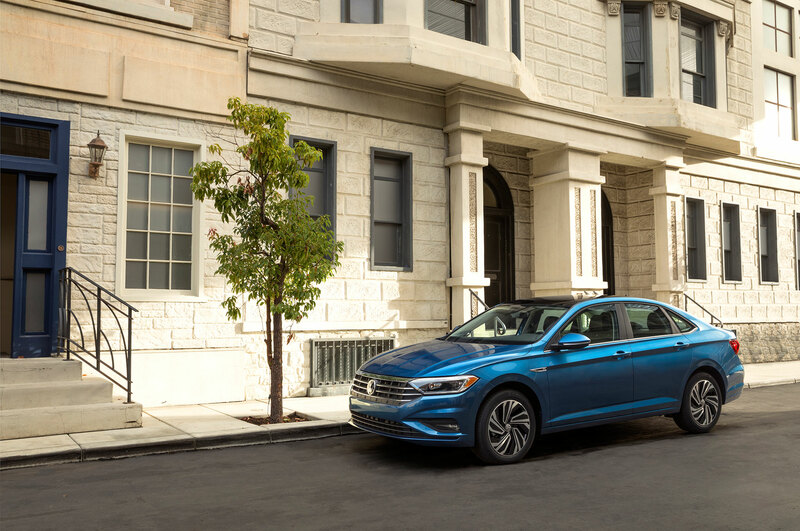 Past GLIs have generally been a little softer than the GTI, in keeping with their more family-friendly mission, but Volkswagen claims that won’t be the case with the new car, which it says has been tuned to drive as much like the GTI as possible. 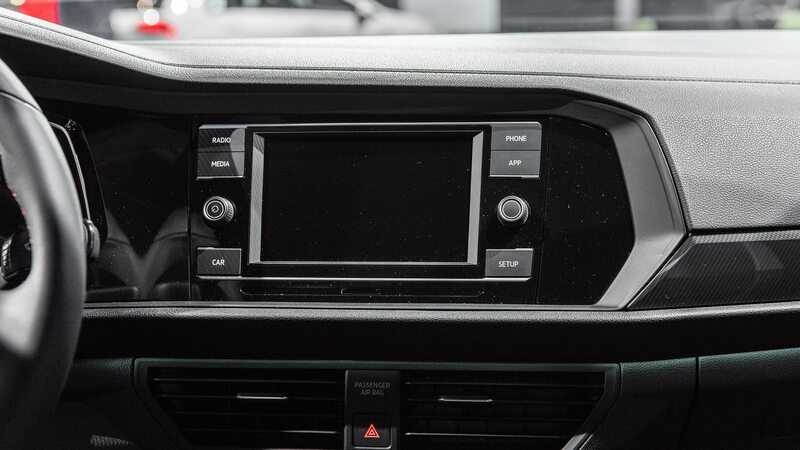 The proof of the pudding, as the cliché properly states, is in the eating, but we don’t expect to be disappointed. 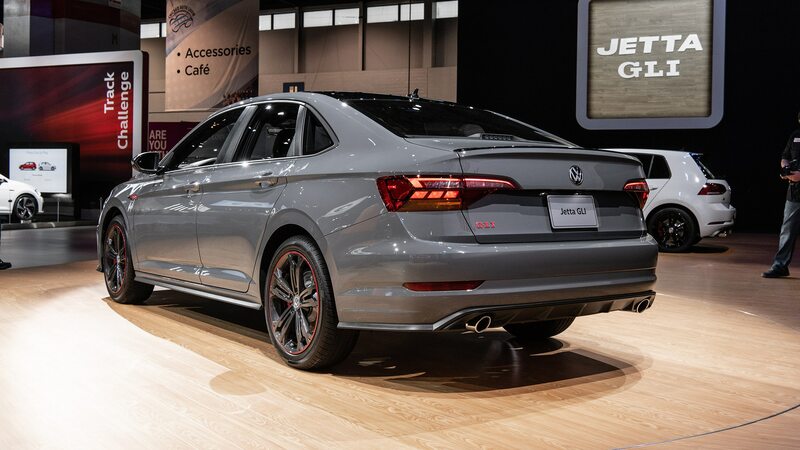 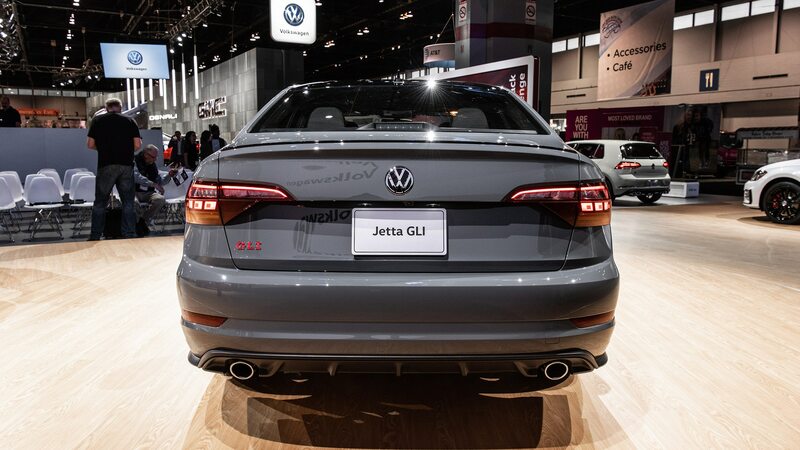 Cool: The Volkswagen Jetta GLI exists at all. 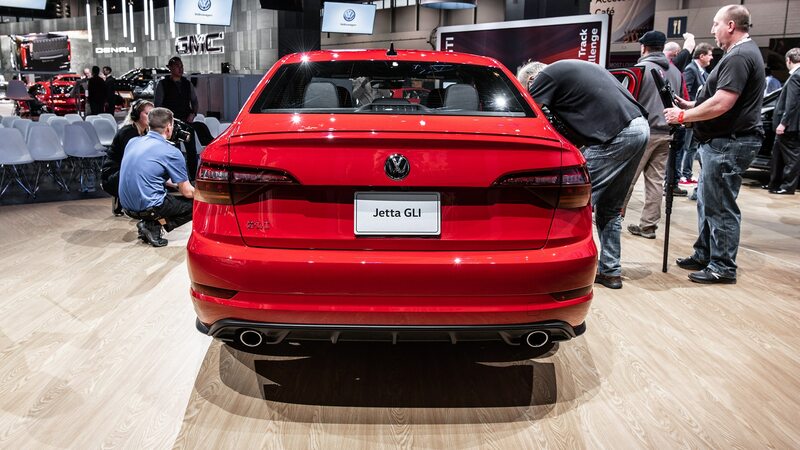 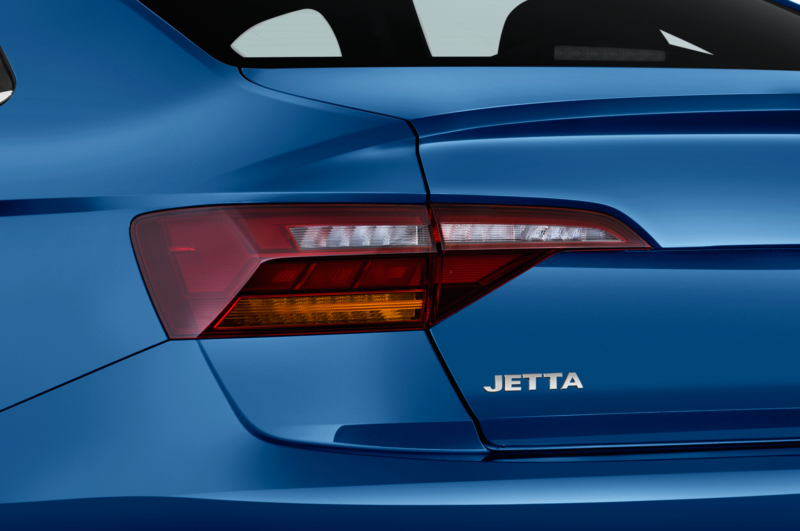 Most brands wouldn’t bother with the Jetta GLI. 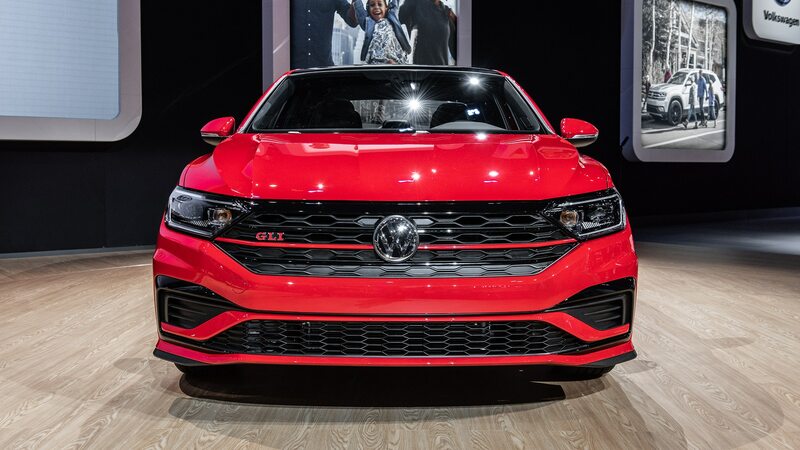 There’s clearly a limited market for a front-drive performance car, and there is an argument to be made that VW already has those buyers covered with the Golf GTI, a vehicle that has much better name recognition as well. 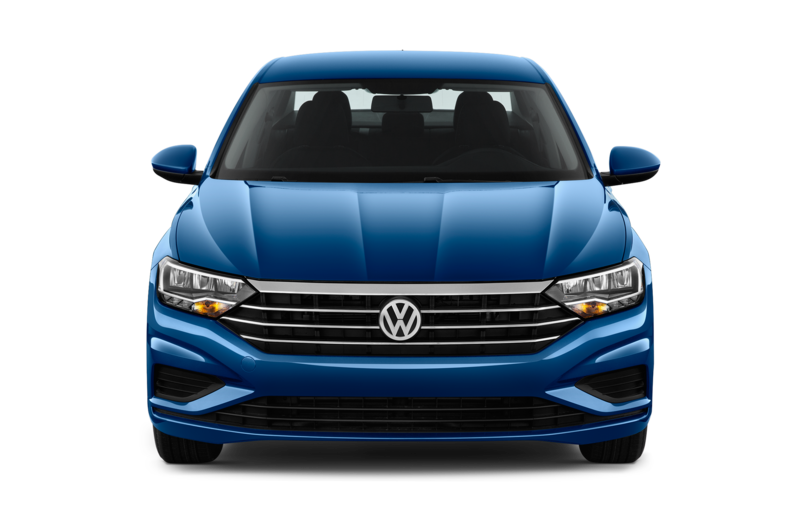 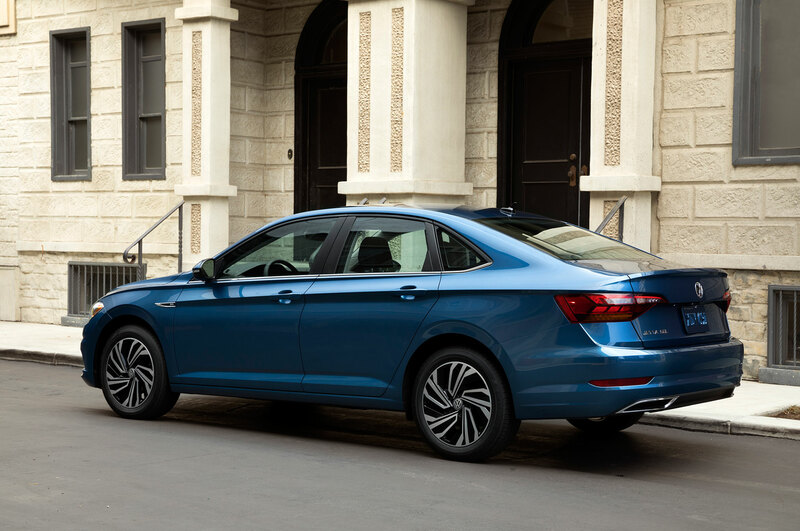 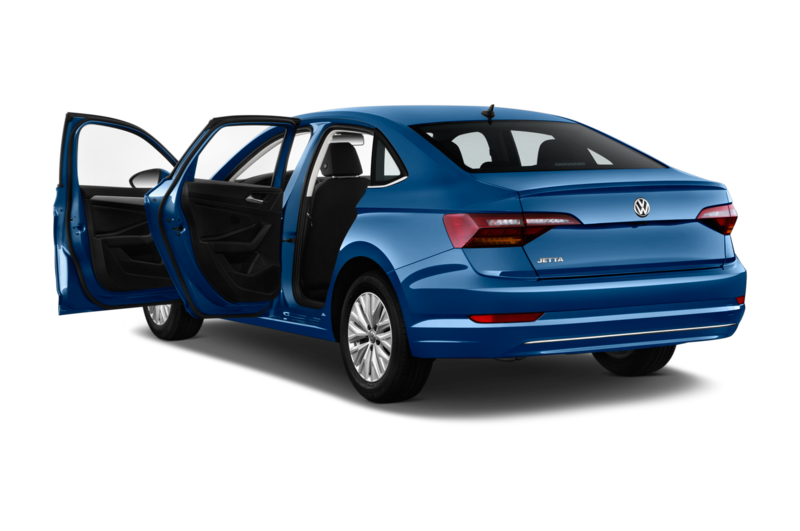 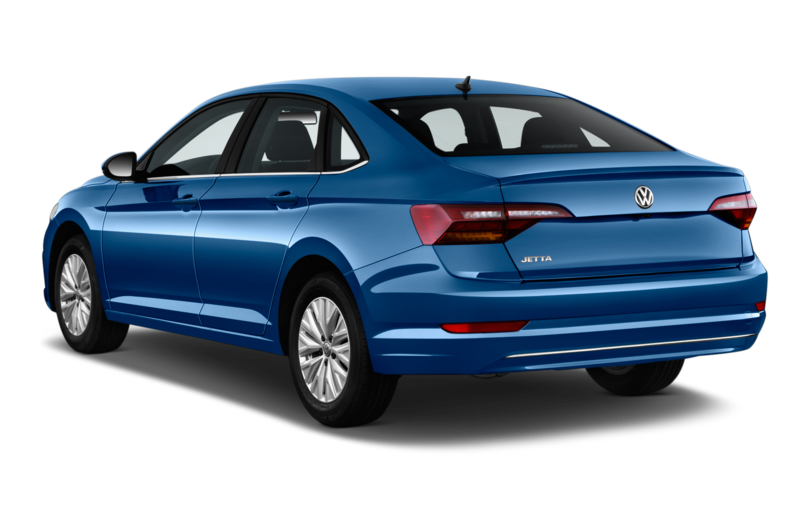 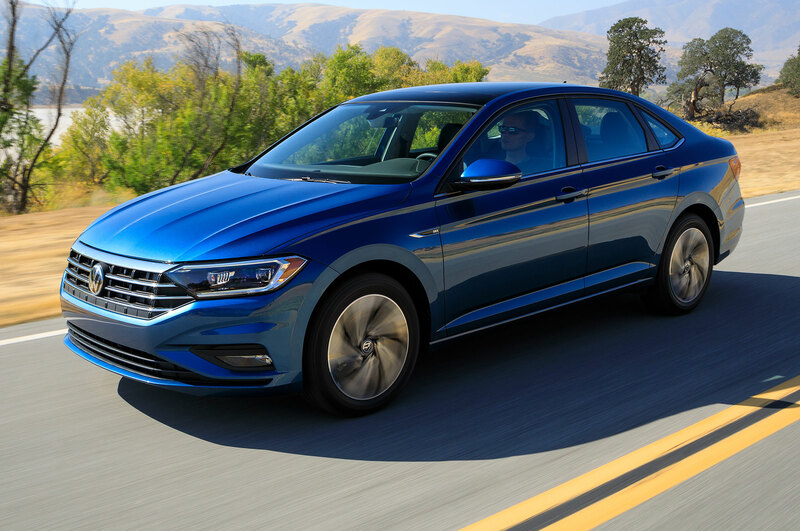 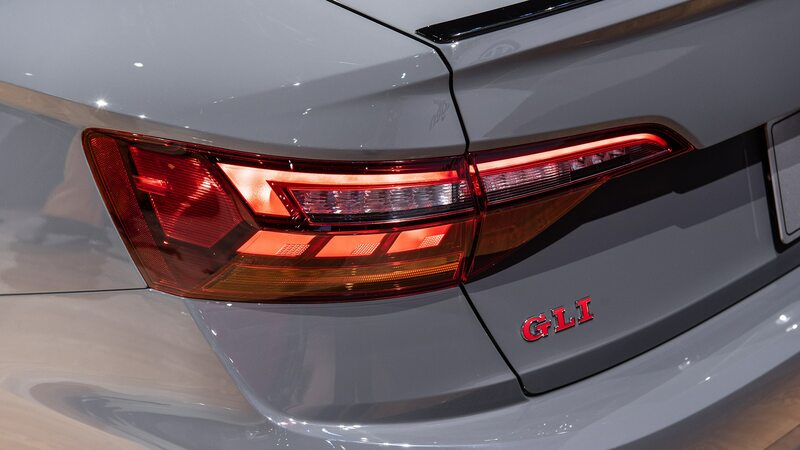 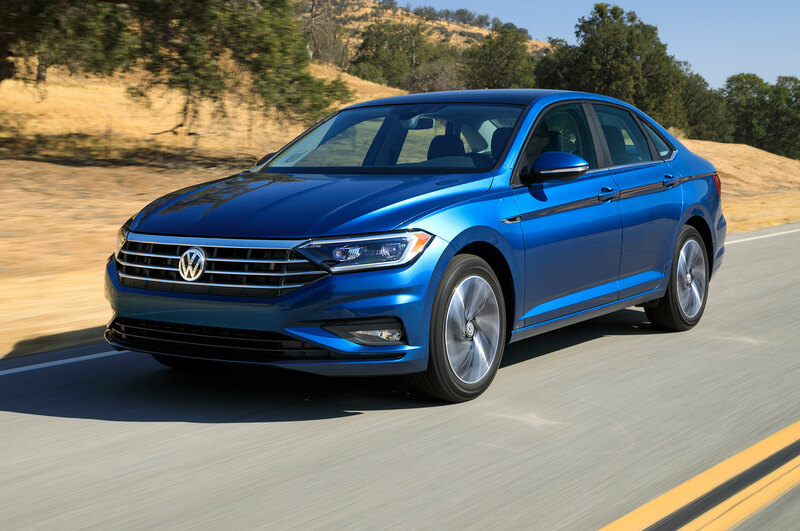 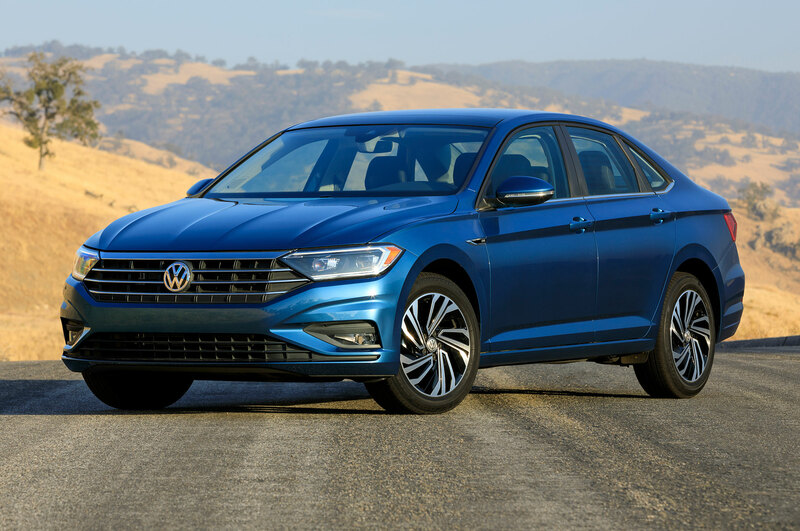 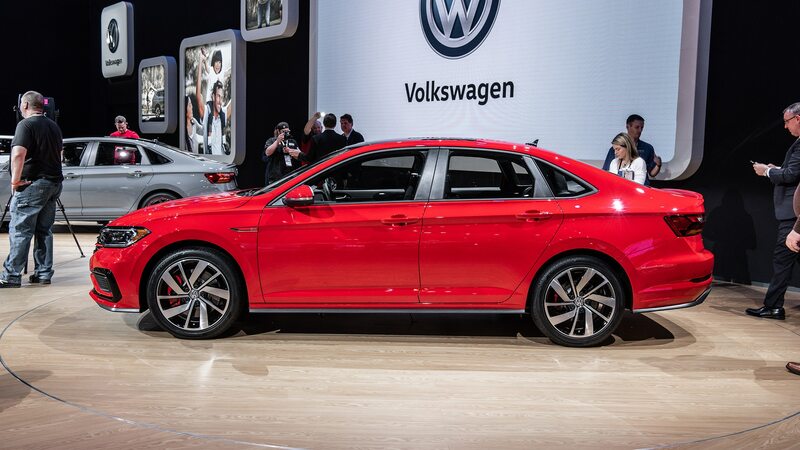 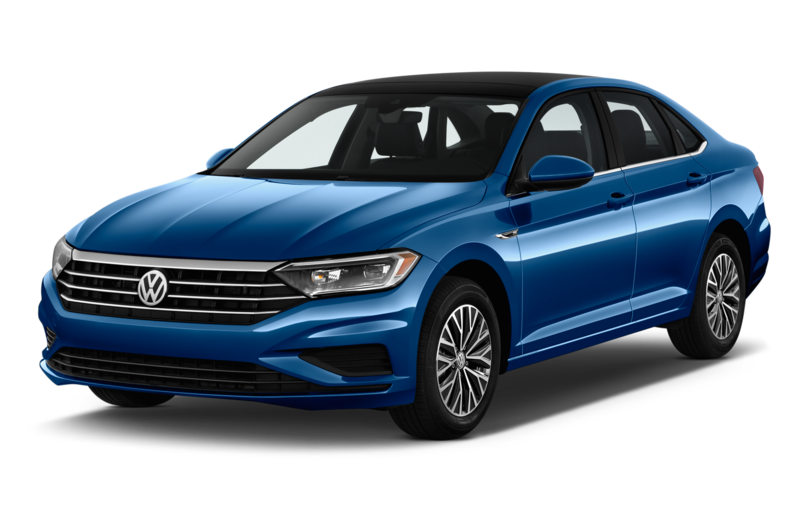 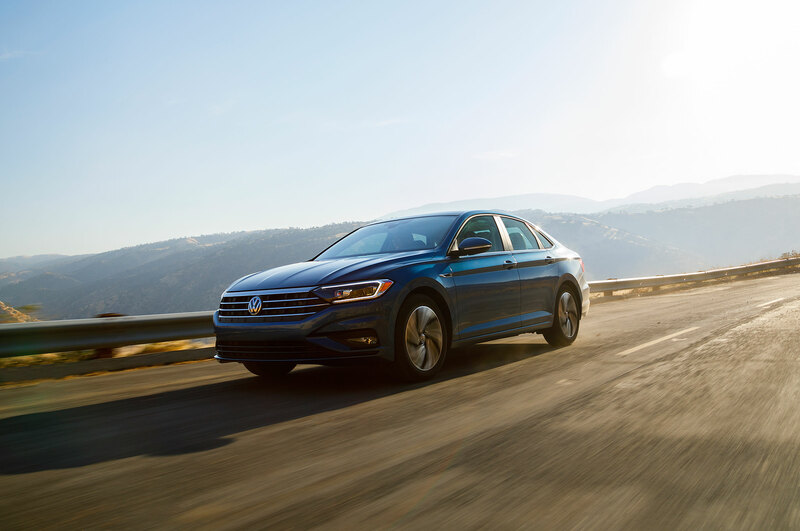 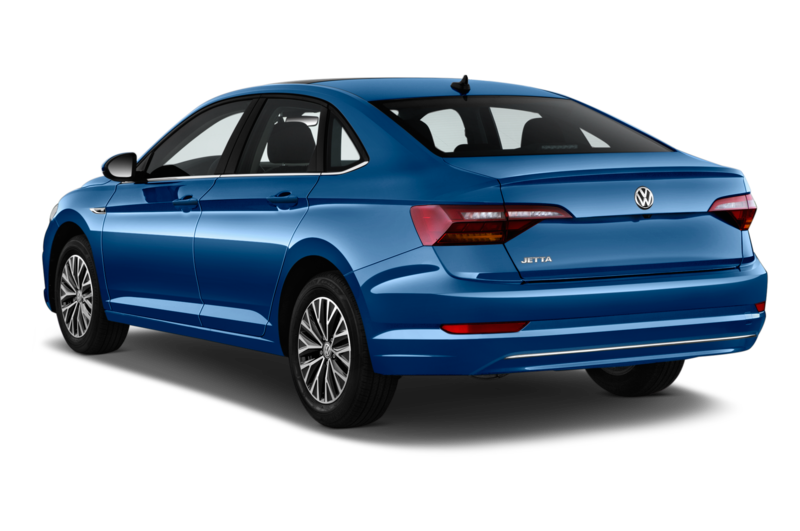 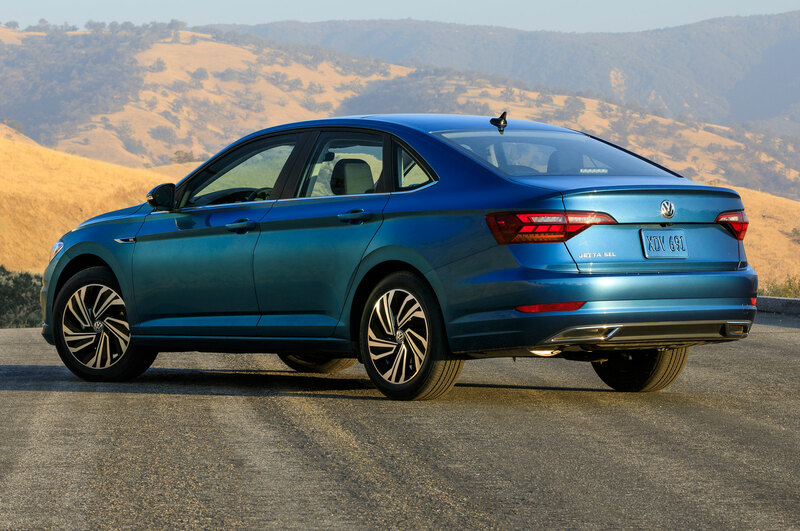 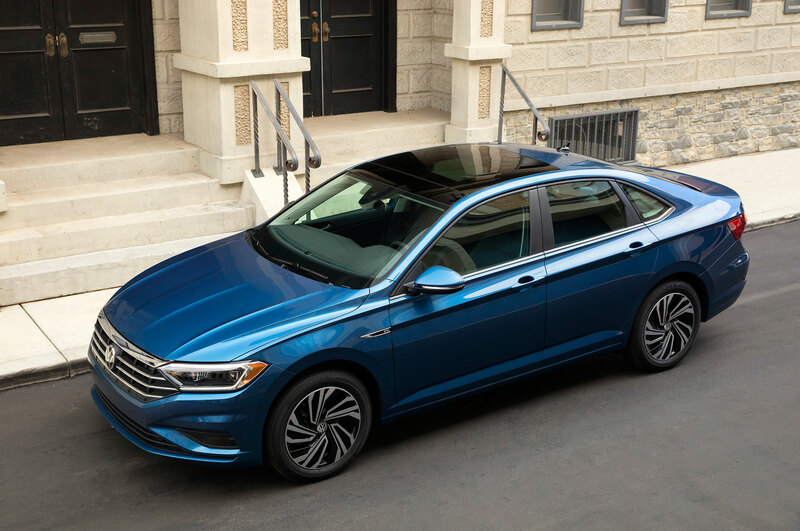 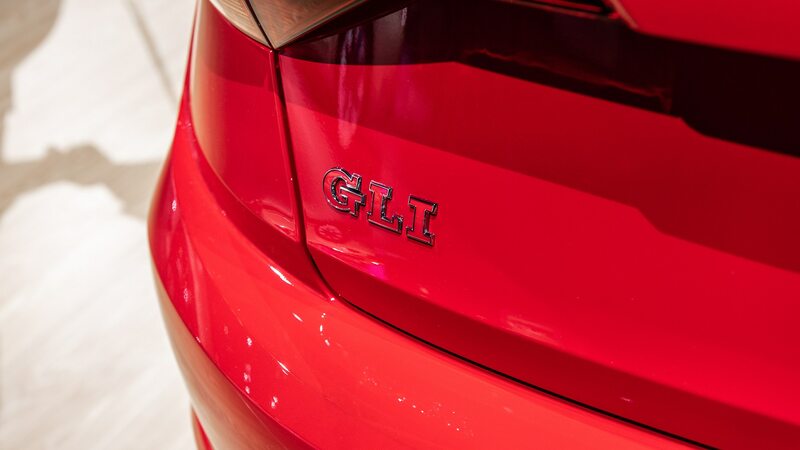 But there are a few of us (yes, I’m one of them) who prefer the GLI sedan to the GTI hatchback, and the fact that Volkswagen is willing to recognize that there is a market for both versions is welcome. 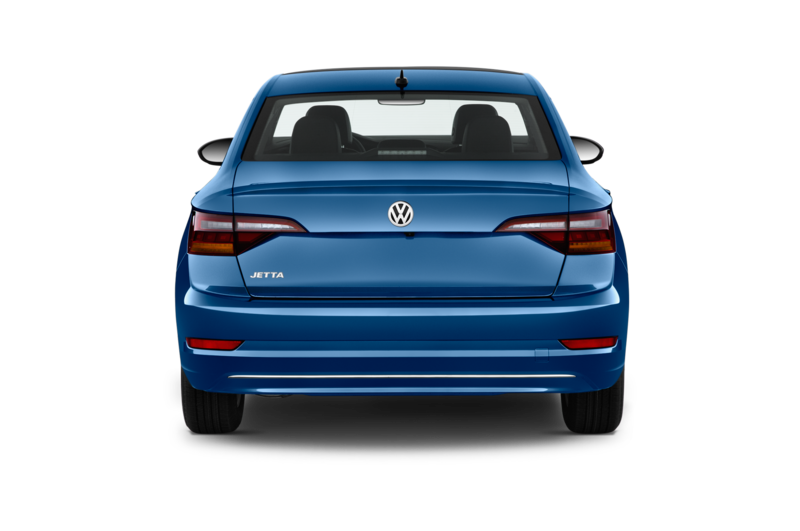 It shows that the brand is very much in touch with their customers and potential buyers. 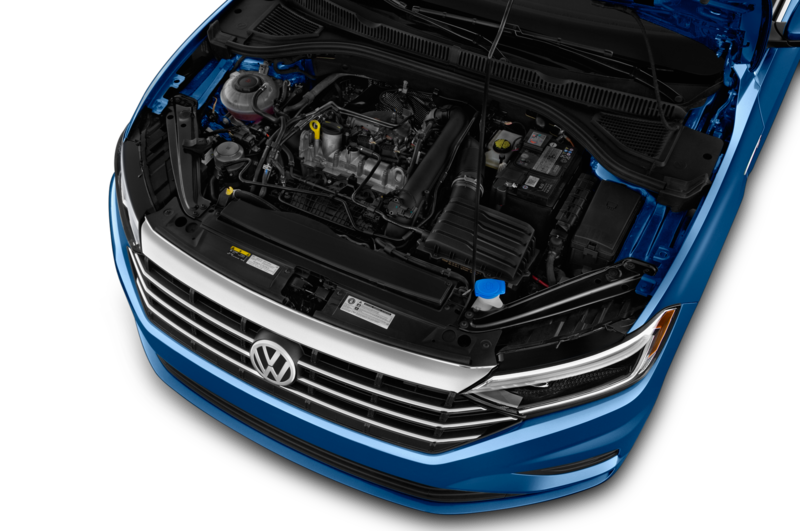 Cool, sort-of: There’s a model even more dedicated to enthusiasts. 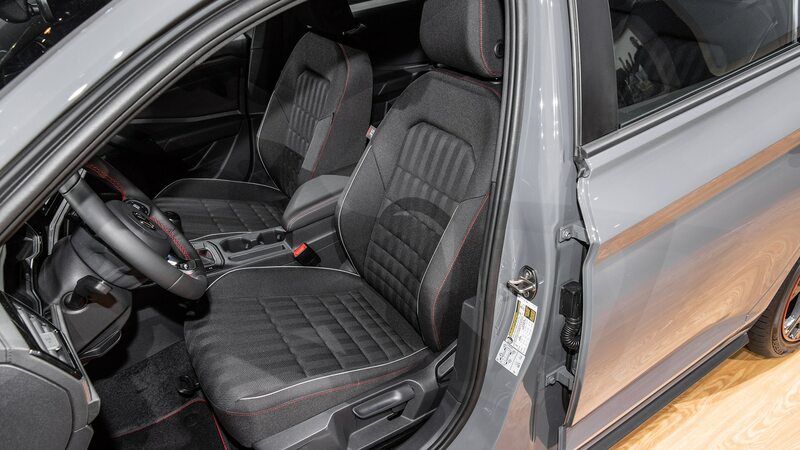 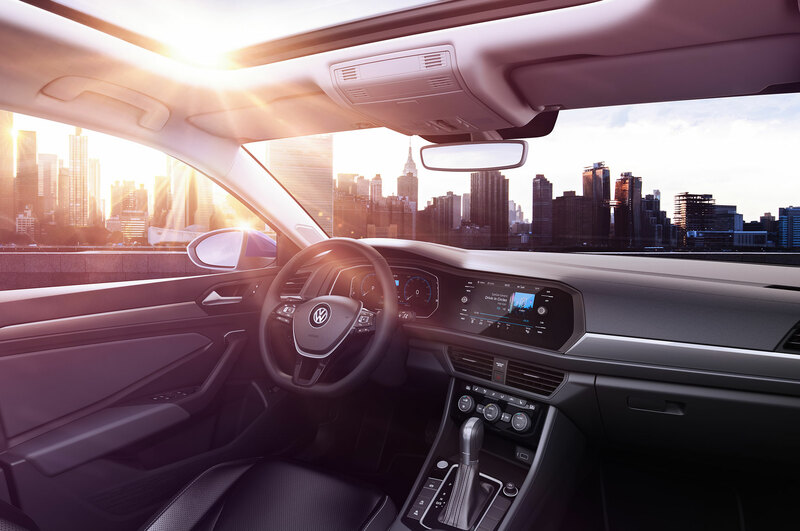 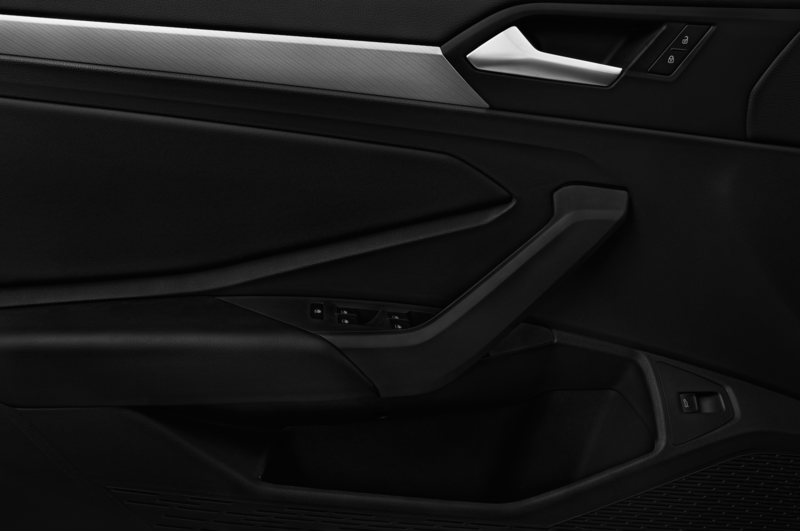 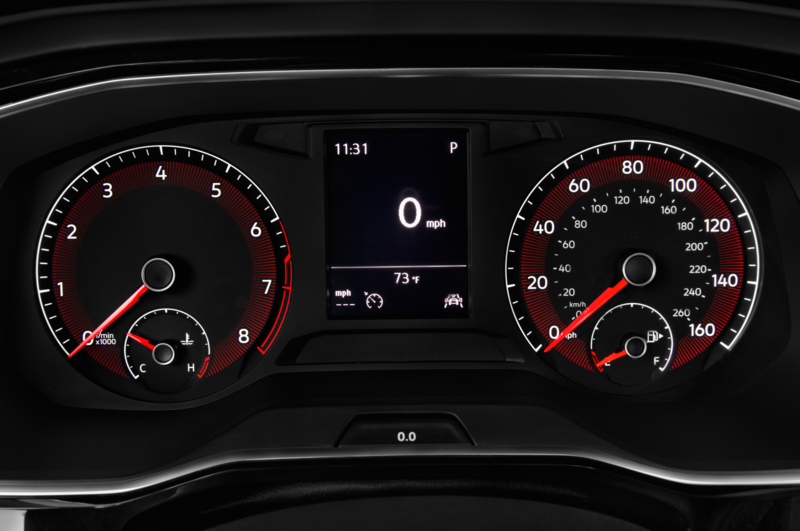 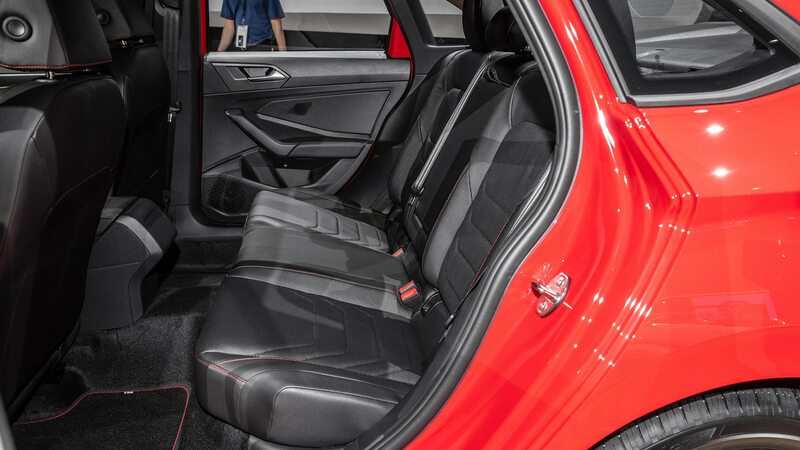 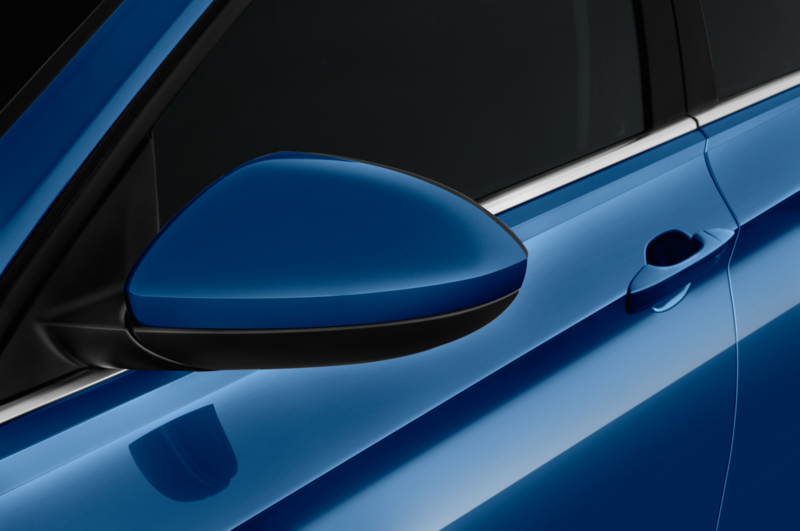 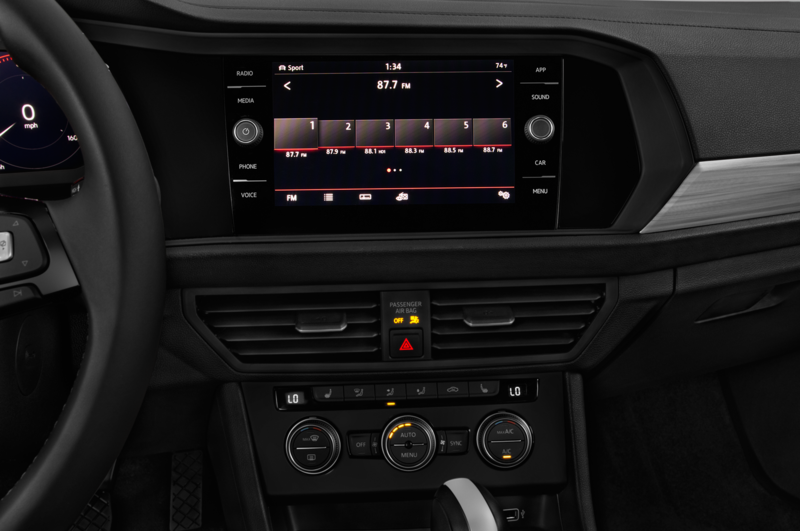 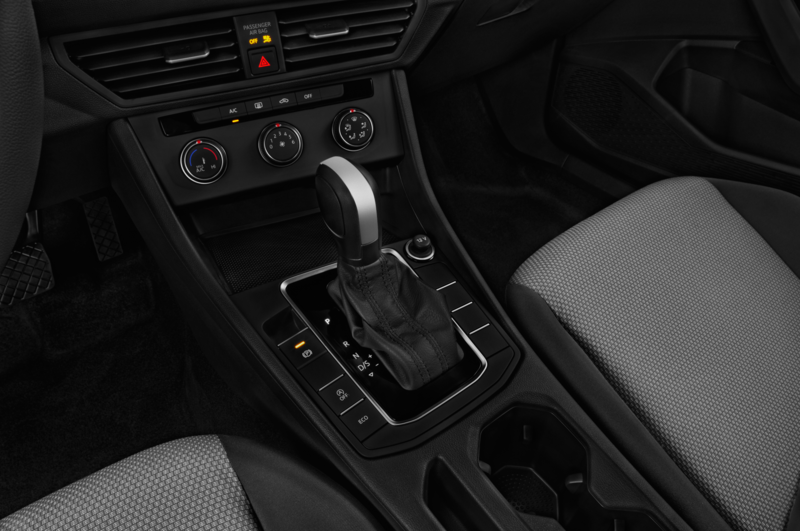 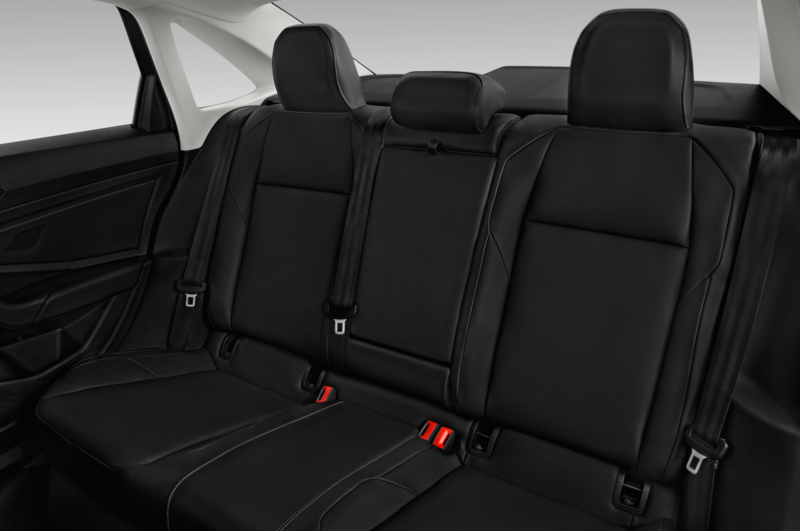 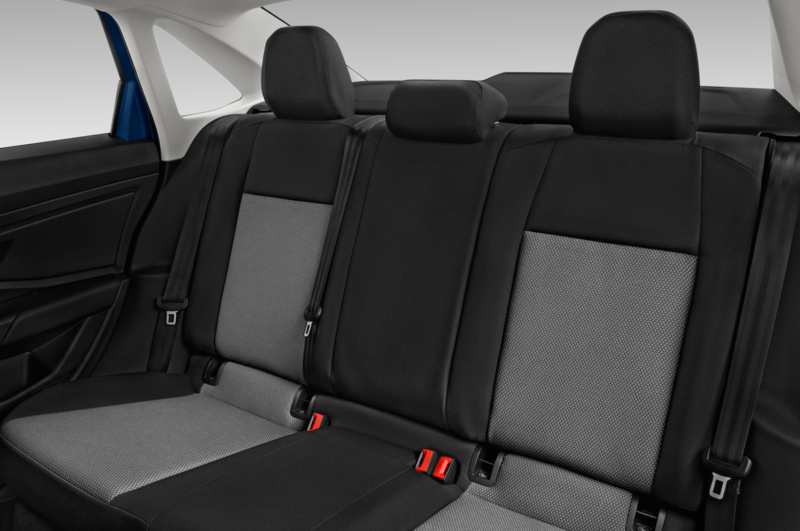 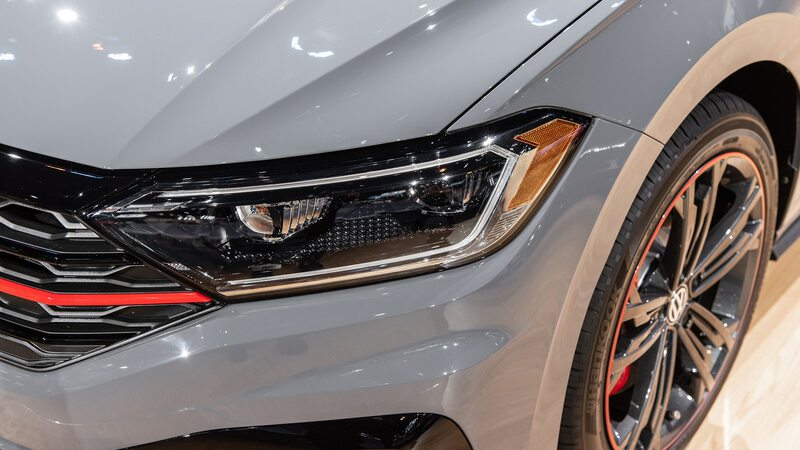 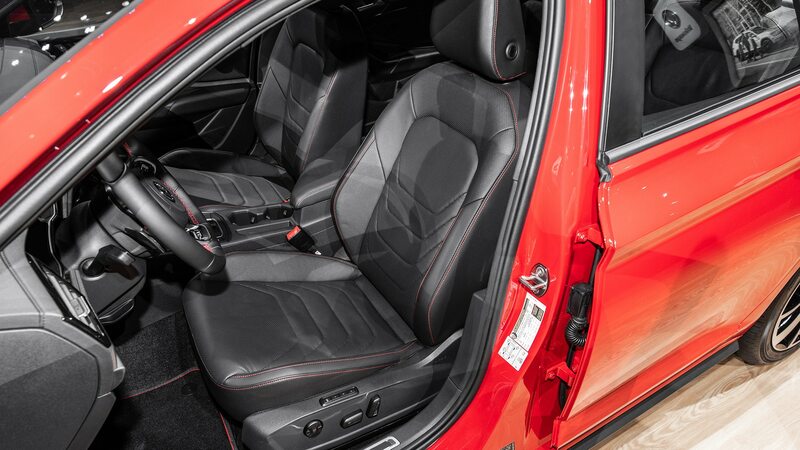 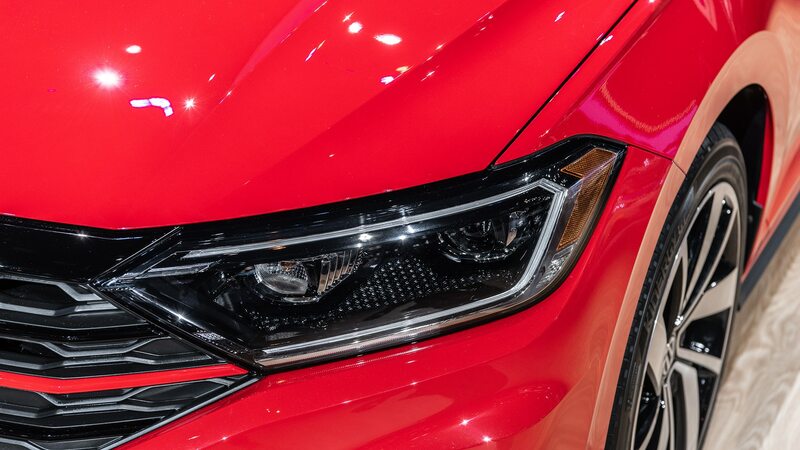 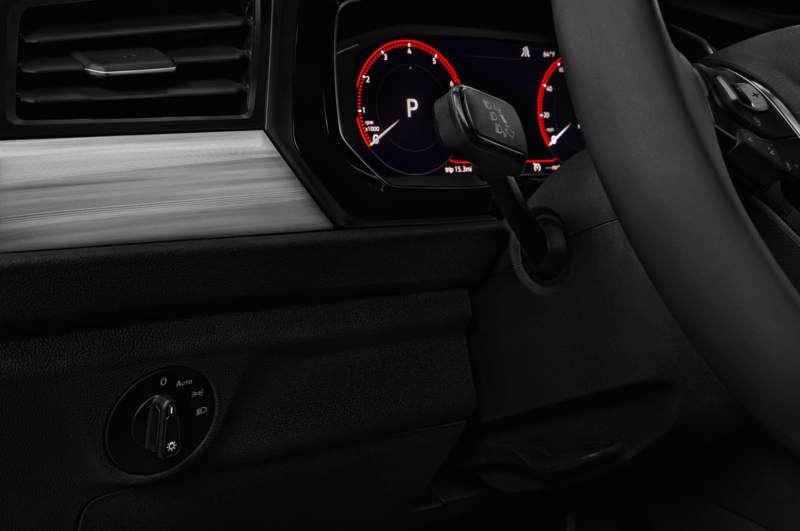 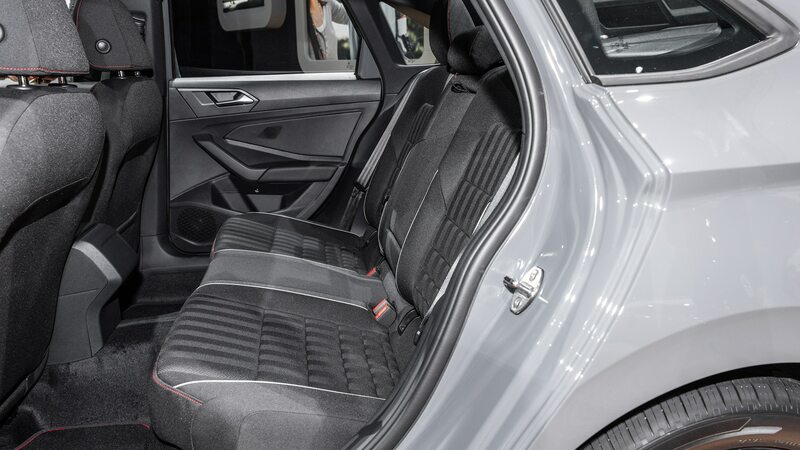 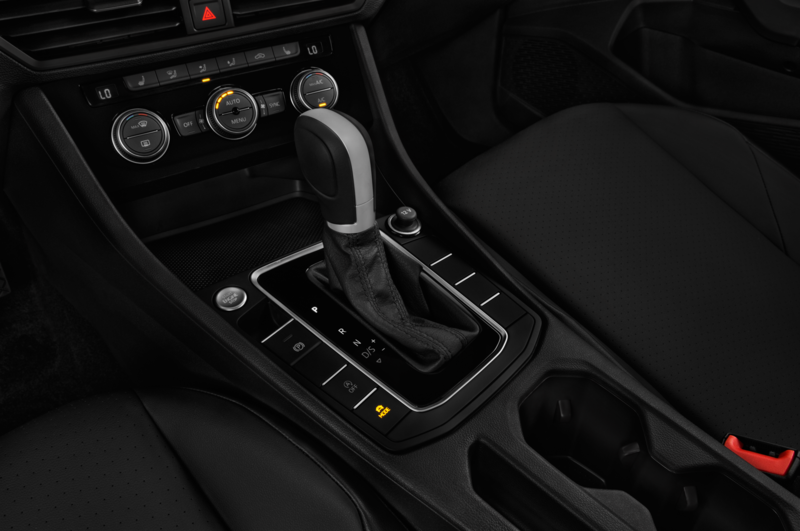 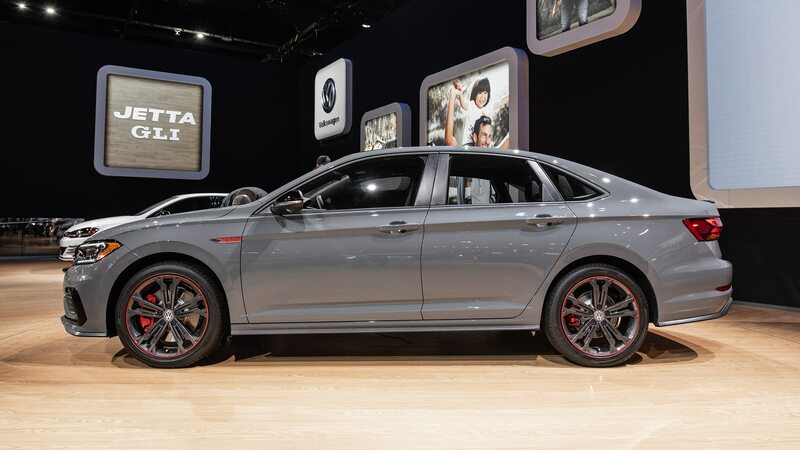 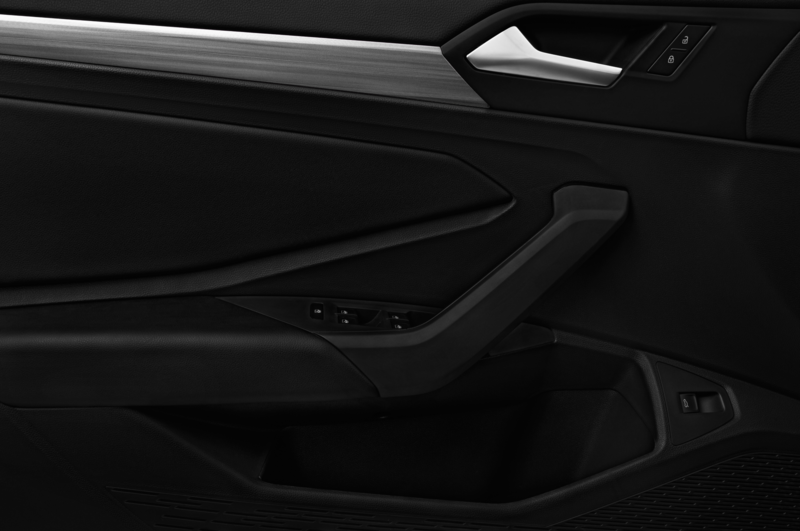 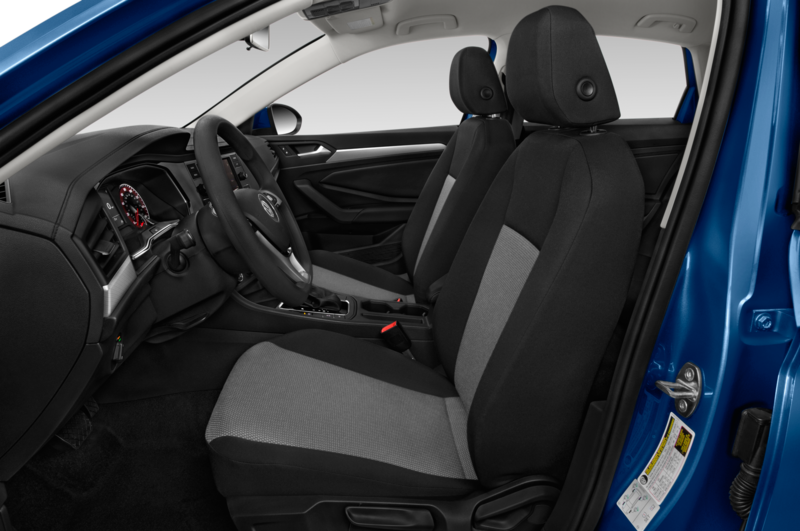 Along with the S and leather-lined Autobahn models, the 2019 Jetta GLI will have an enthusiasts’-special version with cloth seats, sportier trim, and the DCC adaptive-damping system. 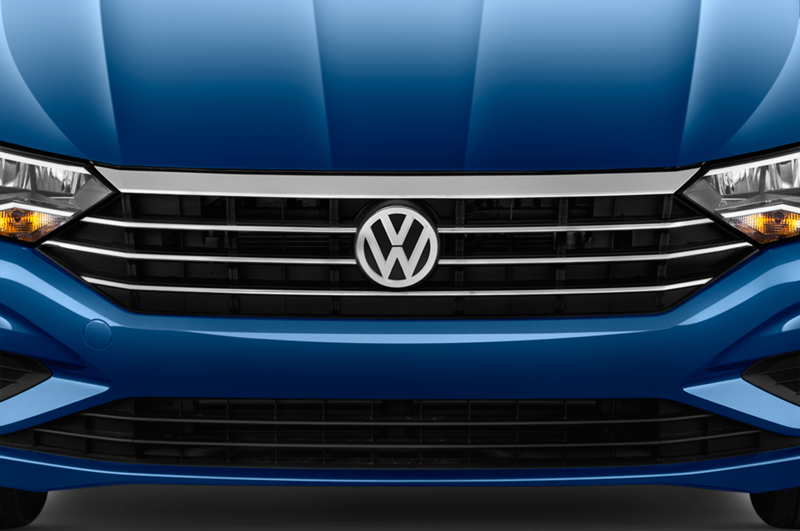 (VW says that cloth is the choice of the hard-core go-faster buyers.) 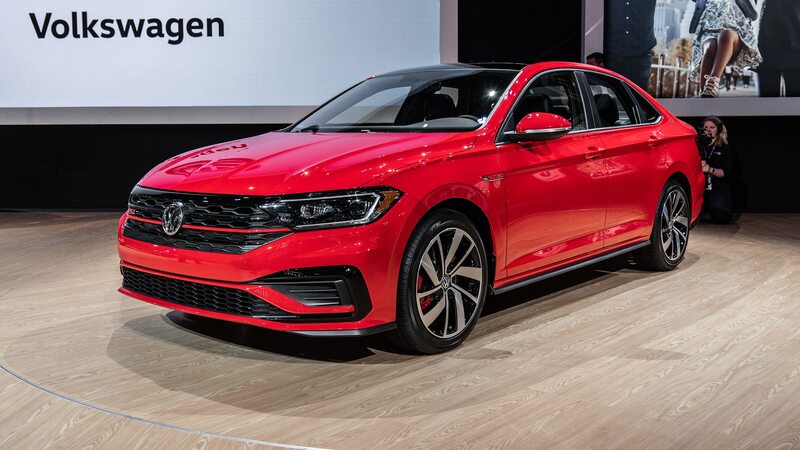 What’s a little less cool is that this will be the 35th Anniversary Edition, a limited-run (2,400 or so copies) model that will no doubt command a price premium despite its upholstery. 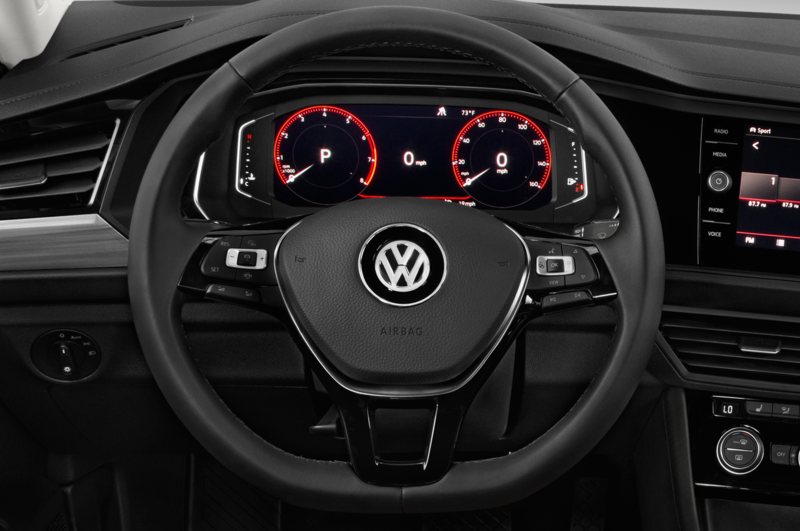 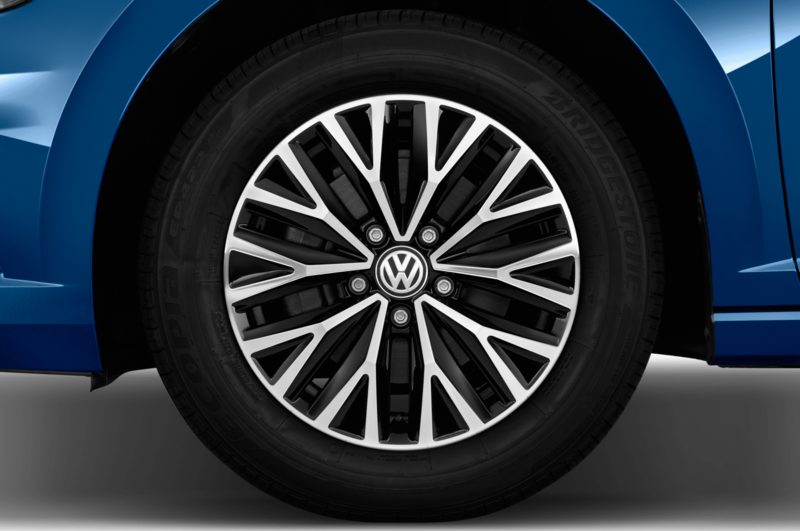 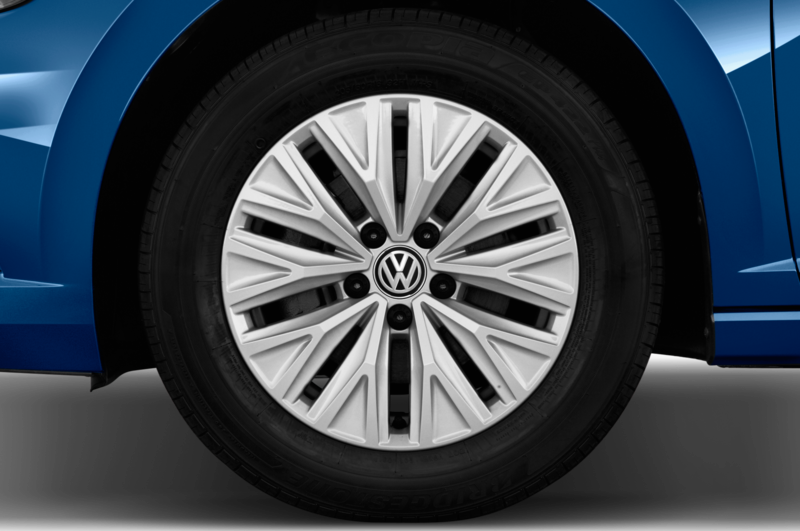 We really like Volkswagen’s adaptive damping system, called DCC (Dynamic Chassis Control). 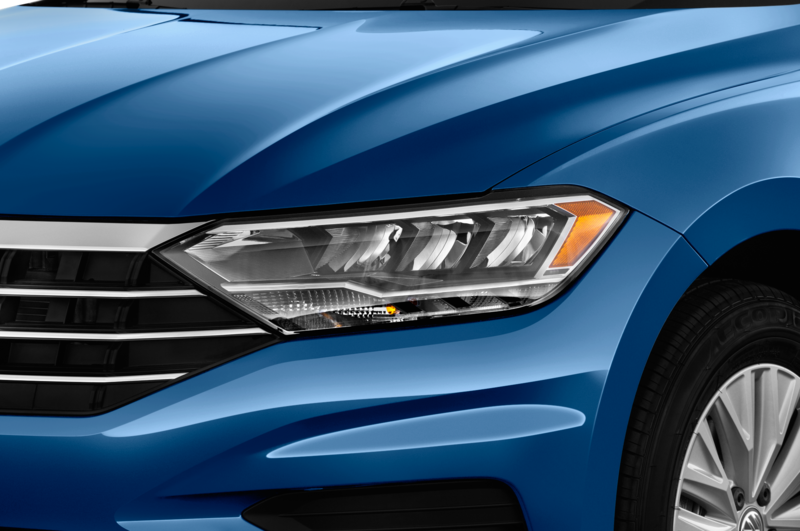 It’s the shining crown in the Golf R: Switch it on and you have a hard-core, no-holds-barred performance machine; switch it off and the car is a civil daily commuter. 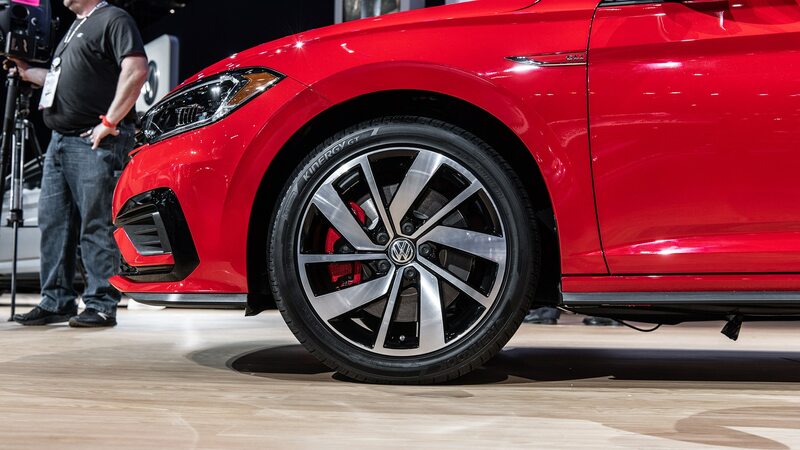 It’s the defining feature that makes the Golf R so much easier to live with than the Subaru STI, and it does wonders for the GTI as well. So why the hell is VW only offering it on the limited-run 35th Anniversary Edition? 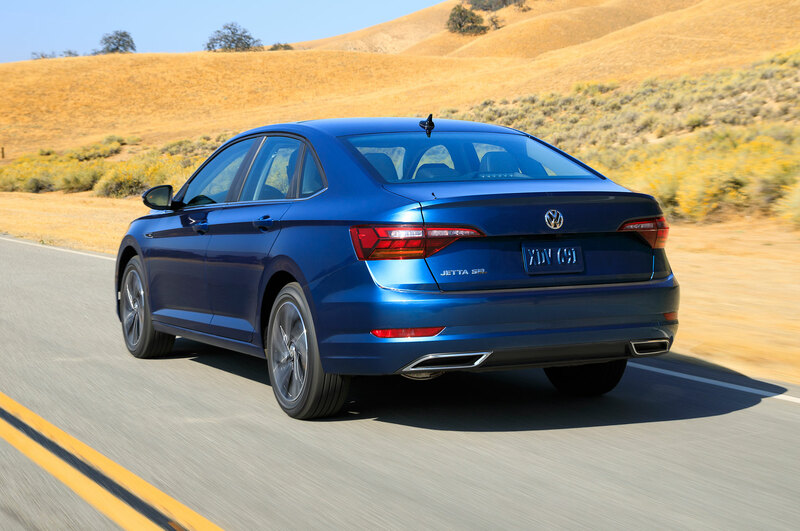 VW may tout the 35th as the “enthusiast’s special” but anyone who would want, say, a leather-lined Autobahn is bound to appreciate DCC that much more. 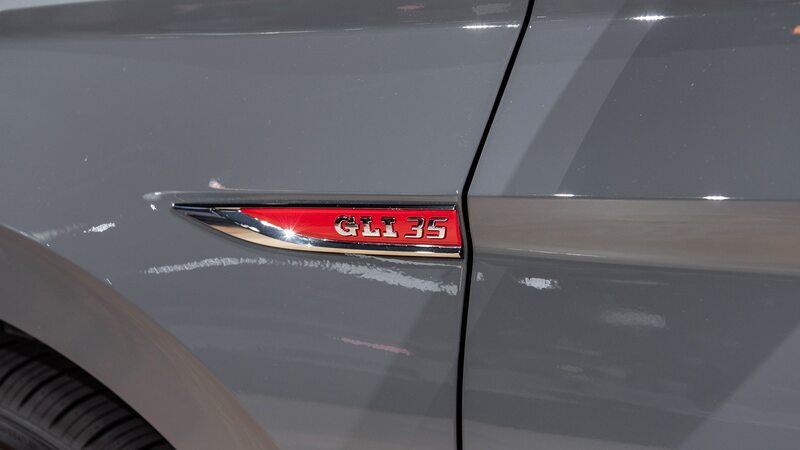 It almost definitely will be part of the regular lineup come 2020 when the 35th Anniversary car goes away, so why wait? 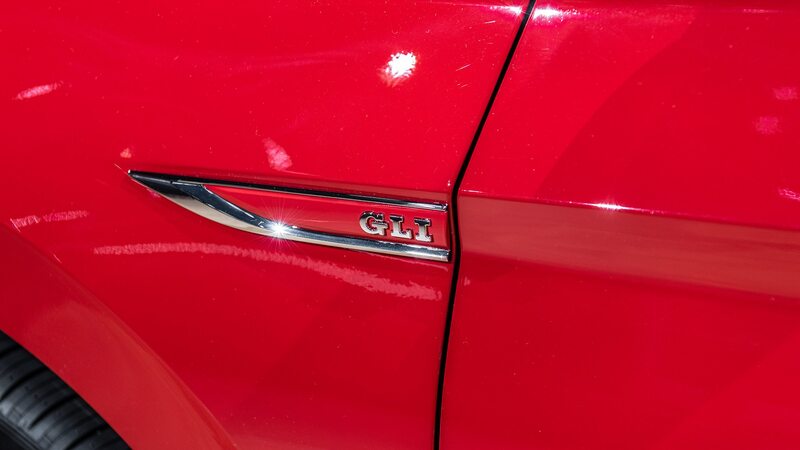 Like the 2015 GTI’s Performance Package, this feels like VW soaking the buyers who know better. 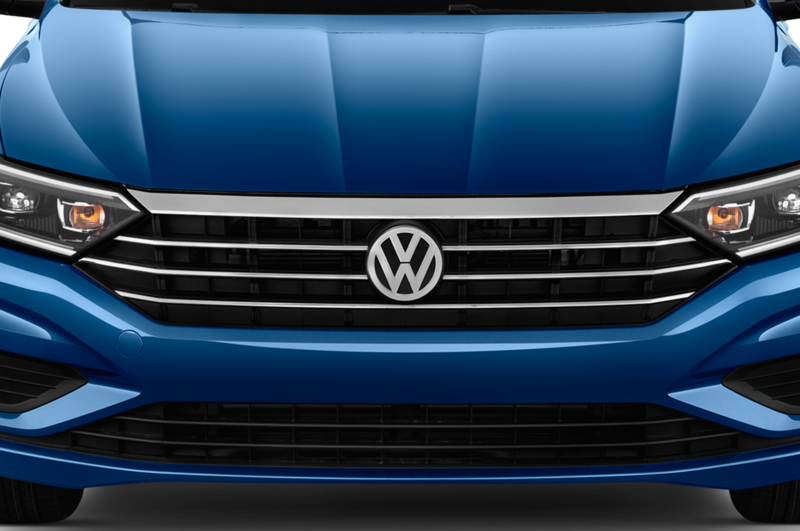 The build-limited car would have plenty of enthusiast and/or collector appeal with its appearance upgrades alone. 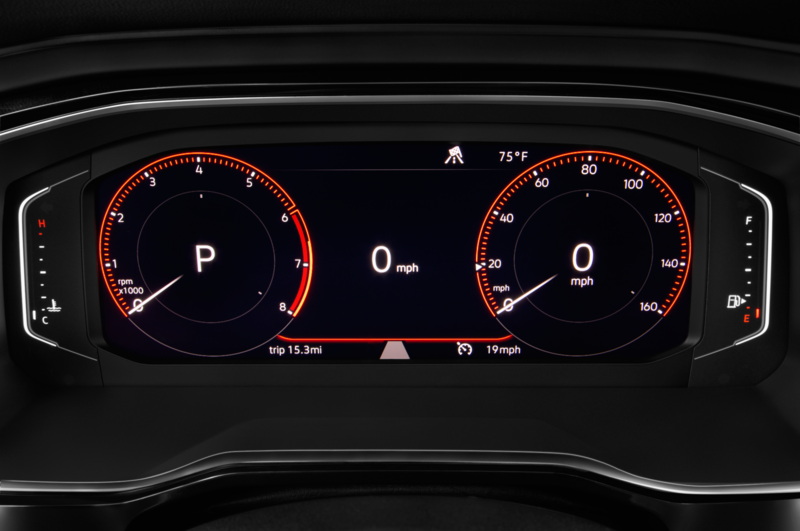 DCC should at least be optional in the Autobahn, if not across the line. 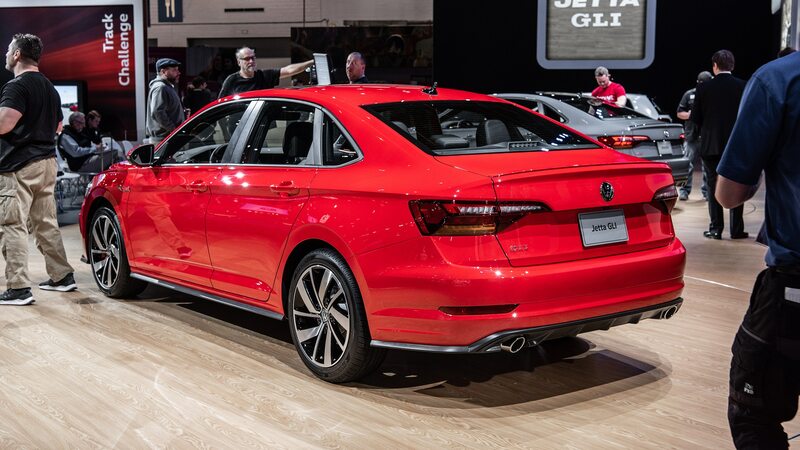 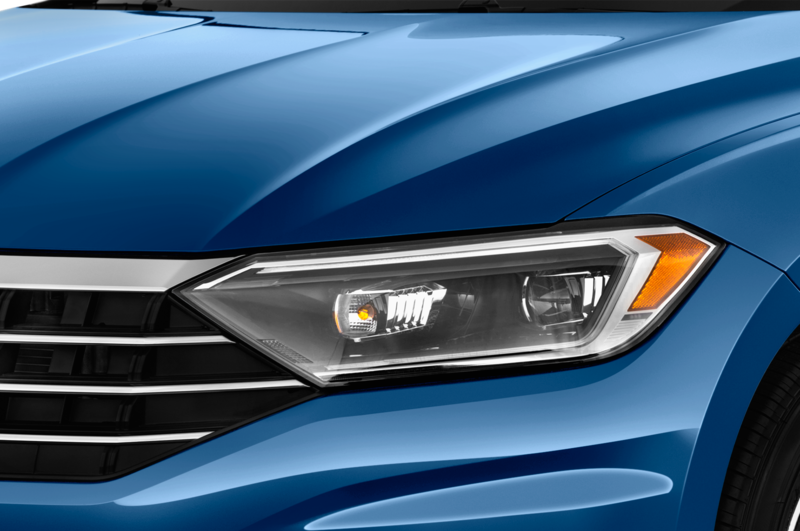 Or better yet, just make it standard and cement the GLI’s place as the front-drive performance sedan to beat.